There are many reasons to visit Centralia Outlets, especially the variety of name brand stores, its location, and of course, the savings. 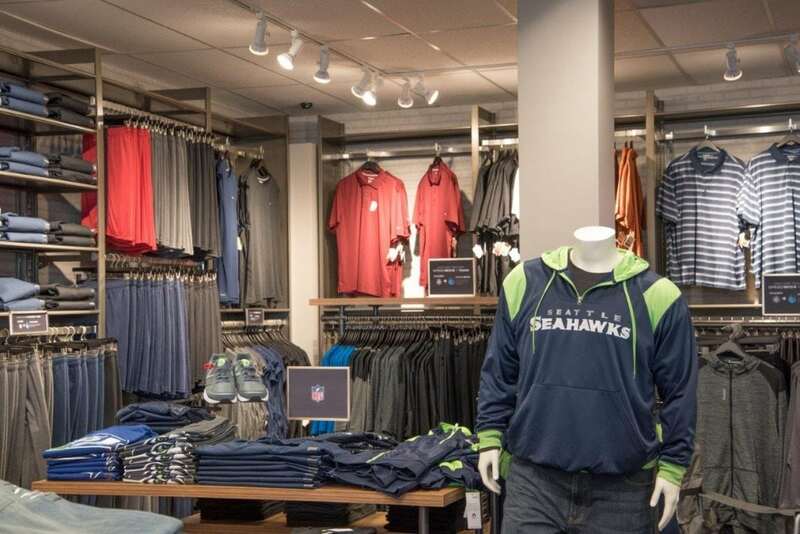 The new DXL Men’s Outlet has the largest selection of products compared to all Lewis County stores combined, and stores like Bath & Body Works and Gold Toe are the only outlet retailers for their brands in the Northwest. Centralia Outlet’s ease of one-stop brand-name shopping includes kitchenware, outdoors, women’s clothing and accessories, children’s, jewelers, boutiques, underwear, shoes, sports, men’s, and more. There’s an information center where you can find coupon books and learn about area attractions. Photo courtesy: Centralia Outlets. People often visit to find the brands that fit their families. Hitting Gymboree, VF (with sizes from petite to plus), and athletic stores are an appeal to busy families that need a large selection in one place. Many families like to pack snacks or grab a sandwich from the on-site Quiznos and enjoy a picnic at Borst Park, located across the street from the outlet center. It’s a great way to unwind and let the kids burn off some energy. You could even pack a fishing pole and hit the on-site lake, too. It’s always fun to go shopping with someone else. Equally fun is making a day of it. 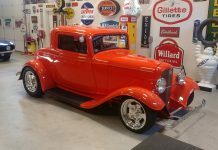 Friends, couples and community groups like to make the trip, and after shopping at Centralia Outlets, will head out to antique row. There are nearby dining options, a historic theater and museums, and many more reasons to make it a play day in Centralia. Centralia Outlets even has special arrangements and incentives for motor coaches. Make it a day with family or friends and find the perfect fit from the perfect brand. Photo courtesy: Centralia Outlets. Events are another draw. From Moonlight Madness to trick-or-treating, Centralia Outlets strive to make shopping even more fun. Stacked coupons and fun promotions like free shopping bags and coupon books add to the experience. 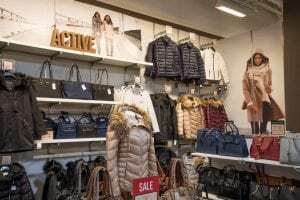 In addition, savings abound with three stores that are outlet clearance stores—Nike Clearance Store, Under Armour Clearance House and Polo Ralph Lauren. 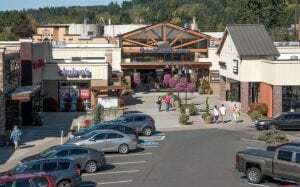 The nearby Northwest Sports Hub is another reason people like to visit Centralia Outlets. (Last year 30,000 spectators spent the day at the sports complex.) When family members play, or there is a break between games, it’s convenient to walk across the street for Centralia Outlets savings. DXL Mens Outlet is the most recent addition to Centralia Outlets, and people love to browse the huge selection of big and tall sizes. Photo courtesy: Centralia Outlets. With more than 30 stores offering factory-direct pricing on name brands, people travel from all around to explore Centralia Outlets. Lucky Lewis County has it right in their own backyard. An on-site information center offers maps, AAA discounts, coupon books, lost and found, and attraction and travel brochures. Centralia Outlets, the Northwest’s original outlet shopping destination, has been serving locals and travelers since 1988.